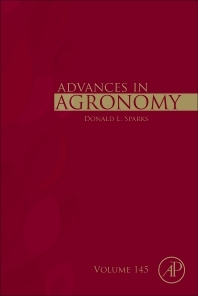 Advances in Agronomy, Volume 145, the latest in a series that is recognized as a leading reference and first-rate source for the latest research in agronomy presents new chapters that focus on A Chinese Model for the Planet, Allelopathic Potential of Sorghum Sorghum Bicolor (L.) Moench in Weed Control: A Comprehensive Review, Weed Dynamics and Management in Wheat, Improving Soil Health and Human Protein Nutrition by Pulses-Based Cropping Systems, and Potential Hotspot Areas of Nitrous Oxide Emissions from Grazed Pastoral Dairy Farm Systems. Each volume in this regularly updated series contains an eclectic group of reviews by leading scientists. Scientists and practitioners in academe, government, and industry and students in an array of fields including crop and soil sciences, agronomy, plant biology, and environmental sciences. The readership spans the globe.